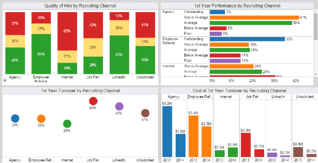 ARE YOU A FIT FOR A WORKFORCE ANALYTICS PUREPLAY? 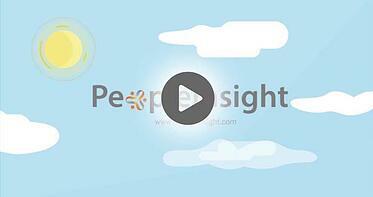 PeopleInsight doesn’t discriminate when it comes to data source or system. You can be running HR Tech from any platform including Workday, SAP, ORACLE, PeopleSoft, Halogen, Taleo, ADP, SuccessFactors, Ultipro, Greenhouse or something home-grown – it simply doesn’t matter to us. We’re data source agnostic, experts in HR data, and we make the connections so you can see your data with ease, clarity, and purpose. You just feed us your raw data from any system and we do the rest. Which systems are you running? See how we can help. Check out our ebooks, infographics and more! 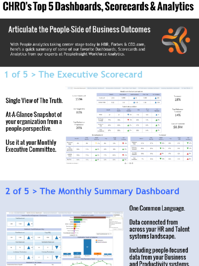 Check out this infographic where we showcase 5 must-have HR dashboards. The HR groups at leading organizations like Splunk, MLSE, CBRE and Sysmex are using these dashboards for better decision making and great executive conversations. Are you facing challenges to attract, qualify and hire high-quality candidates as quickly and efficiently as your business needs? 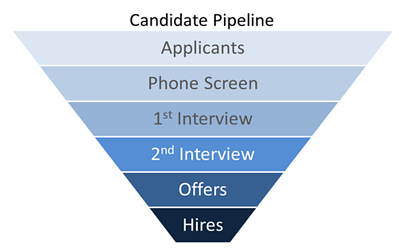 Find out how to take a page from the Marketing & Sales playbook with this awesome overview of Candidate Pipeline Analytics. See how automated surveys can add an important dimension to your talent acquisition activities, onboarding effectiveness, and first year outcomes. 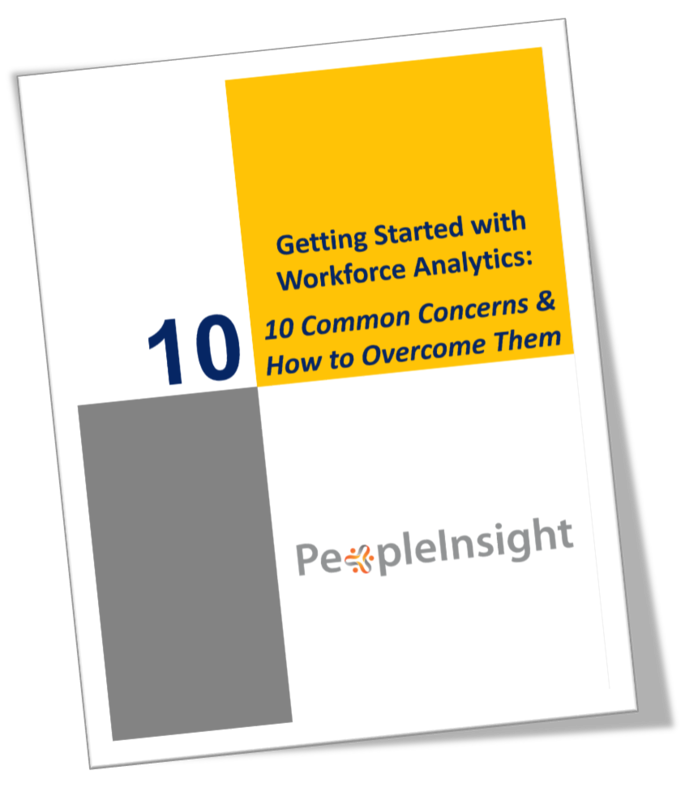 In this eBook we address the 10 most common questions (and concerns) we hear from people as they investigate the value of workforce analytics for Human Resources. 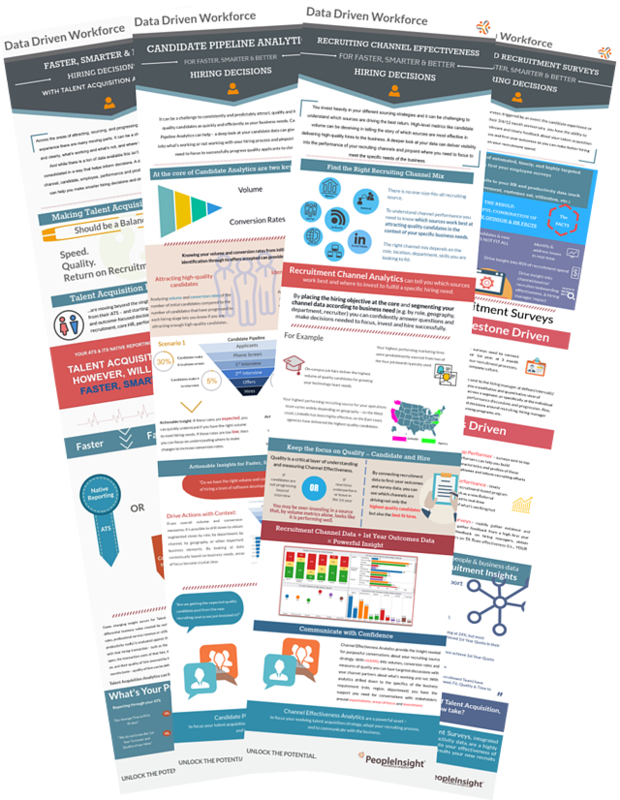 It's a common misconception that if you have an HRIS (even one that is best-in-class) the analytics and reporting from this HRIS are all you need. Read this 2-pager to learn how to overcome isolated data and get to connected sources and analytics with real business connection. 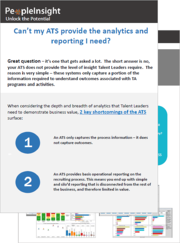 It's a common misconception that your ATS (even if it's best-in-class) provides all the the analytics and reporting you need. What you really need is to connect your ATS data to other sources for meaningful insight and better decision-making. Tired of disconnected data and a jumble of spreadsheets? Watch this video and see how your data can be transformed and you can make better business decisions. You need deep insight into how your channels are performing in order to make the best investment decisions and know where you need to focus. This 2-pager will help you get there. Do you suffer with data spread across many spreadsheets? Are you challenged to make timely and relevant meaning of this data? This is practically a universal problem in HR and there is a way out. Can't my HRIS provide the analytics and reporting I need? HR Metrics - Measuring Activities or Creating Value? Can't my ATS provide the analytics and reporting I need? 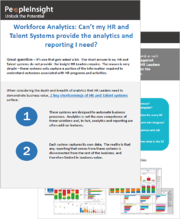 Ready to get serious about workforce and talent analytics? 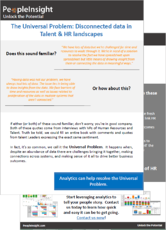 Helping HR and Talent groups get the most from their data is our exclusive focus. If you're ready to take the next step, let's chat. Book a 15-minute call with us and we'll answer all your questions about workforce and talent acquisition analytics. We promise, no sales pitch, no pressure - just a conversation we can all feel good about. Fill in the form and we'll be in touch shortly.